A selection of images of the interiors and interior fittings, decorations, furniture, etc; this portfolio is distinct from the ‘architecture’ portfolio, which I take to mean exterior design, fittings and appearance. 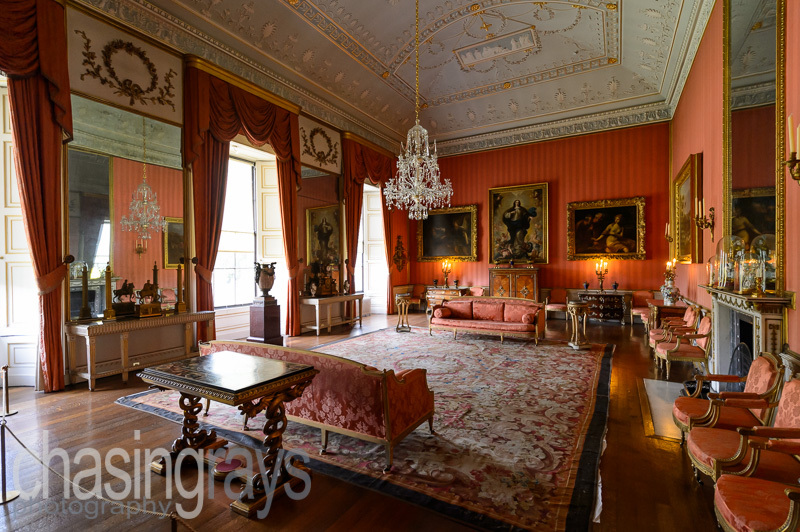 An image of the interior of Shugborough Hall, in what I believe was the sitting room (please correct me if I'm wrong!). This is a straight-out-of-camera shot, taken at f/4.0 with a 14-24 mm lens and was lit with natural light from the windows seen to camera left, which created the sweep of light across the scene. 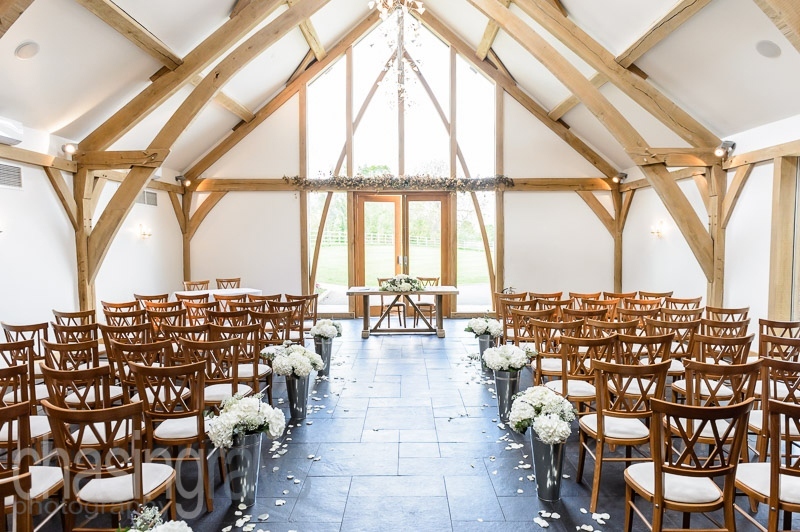 This is an image, much as others published in my portfolio, of the civil wedding hall at Mythe Barn, Warwickshire, taken as ever before the wedding guests have been invited to take their seats. 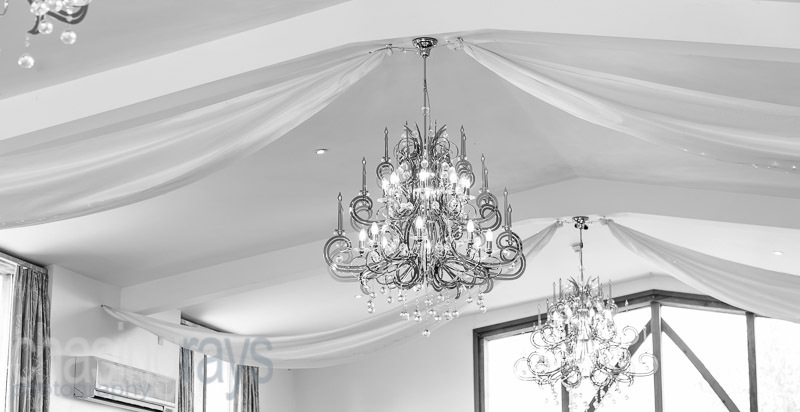 This is an image of the ceiling decoration in Mythe Barn, Warwickshire, in the room used for the wedding breakfast, with the image here taken to showcase the chandeliers and netting used. 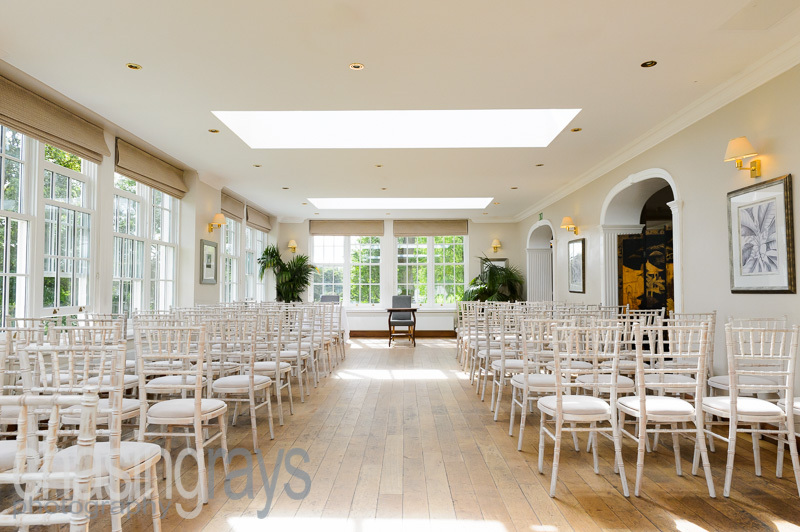 This is an image of the civil wedding ceremony hall at Losehill, Derbyshire, taken some 15 minutes or so before the guests arrived. Such images, before the inevitable disorder of the wedding guests take their places, are timeless reminders of your day. 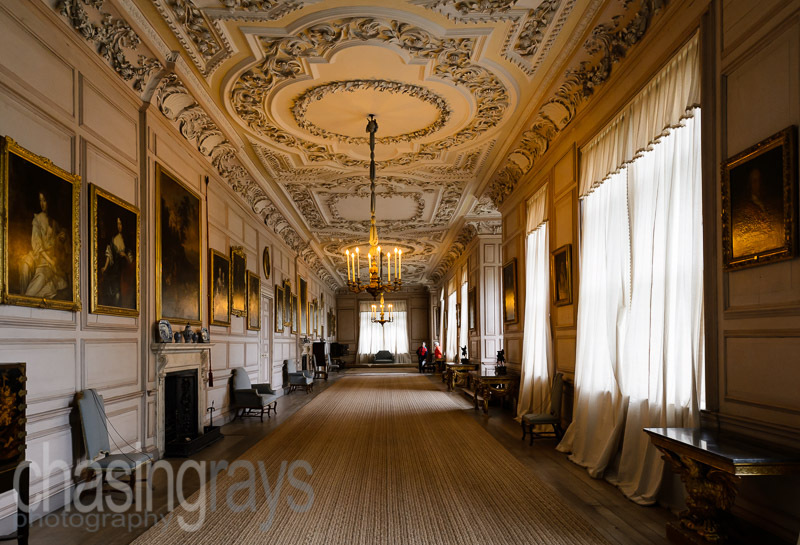 A view down the Long Gallery at Sudbury Hall, taken using a 14-24 mm f/2.8 lens at the low end of the focal range in order to exaggerate the length of this room. 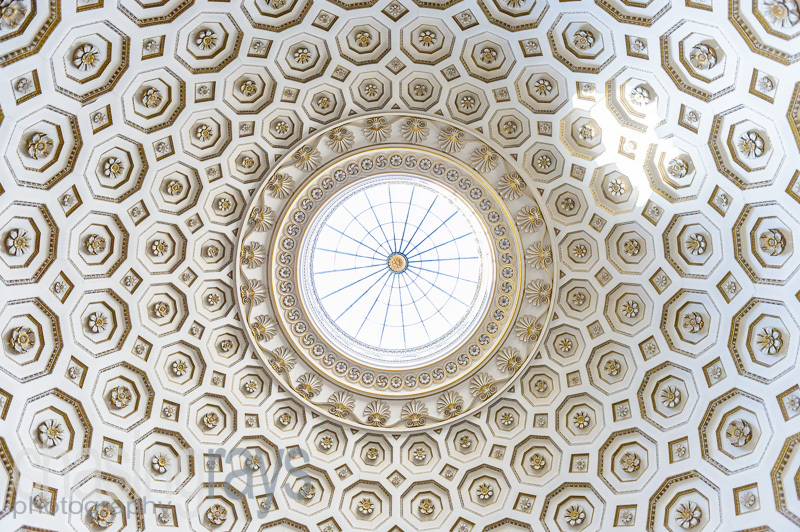 A beautiful symmetric view looking directly up at the ballroom roof of Kedleston Hall, located a few miles north-west of Derby.